The Caretta caretta is the most common sea turtle in the Mediterranean Sea. This species is endangered in the whole Mediterranean bassin and under threat of extinction in the Italian territorial waters. The Caretta caretta turtle is 5cm long at birth and adults reach 80-142cm in lenght. They are perfectly adapted to life underwater thanks to their alongated body covered by a shell and their feets. 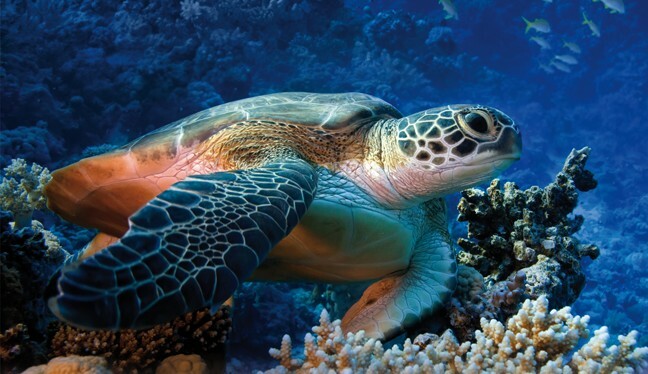 Being reptiles, sea turtles are cold-blooded, therefore they prefer temperate waters. They can easily swim over 35 Km/h with the distinctive synchromous movement of the lower limbs. In June, July and August males and females meet up in reproduction areas, probabily on the shores they were born on in the first place. 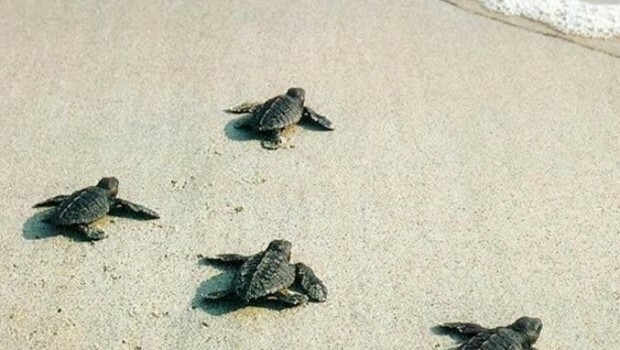 For this reason the Caretta Caretta turtles choose Palinuro and its beaches every summer. Biologists still don't know where they spent their first years of life, but as soon as they are big enough to be safe from predators, the exemplars of Caretta caretta travel back to the coast, which they easily find even after extremely long migrations. Apparently, newborn turtles store the coordinates of their place of birth by terrestrial magnetism and other environmental features, as an imprinting of the native nest. It is essential that they reach the sea autonomously, since any human contact would delete the memory of their nets, to which they would return in 25 years to start a nest of their own. Once adults, they have no natural predators but their life is constantly endangered by pollution and controlled fishing. The existence and proper work of the recovery centres are fundamental yet insufficient to guarantee an adequates protection for the Caretta caretta. Every year, about 100.000 turtles are caught accidentally, 10.000 of which only in Italian seas. That is why Legambiente has taken action to raise awareness into fishermen though meetings and seminars, and also citiziens, involving institutions amd schools directly.